Stores reference 5C/1252. 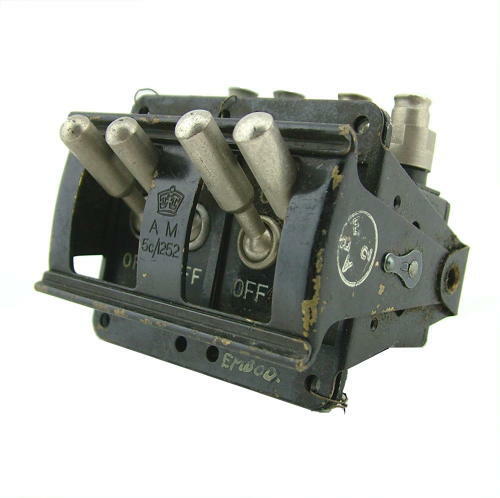 Set of twin toggle switches for the magnetos on AVRO Lancaster and other wartime four-engined bombers. Complete with the 'gate/cage' that worked in conjunction with the undercarriage indicator and prevented the switches from being turned off when the undercarriage was retracted. There is light wear and some paint chipping/loss but in very good used condition overall. Boxed but has probably been repackaged at some point. Stock code M16488.